Designed in conjunction with the World's elite; confidence, comfort and courage is offered as standard throughout our Body Armour Range. 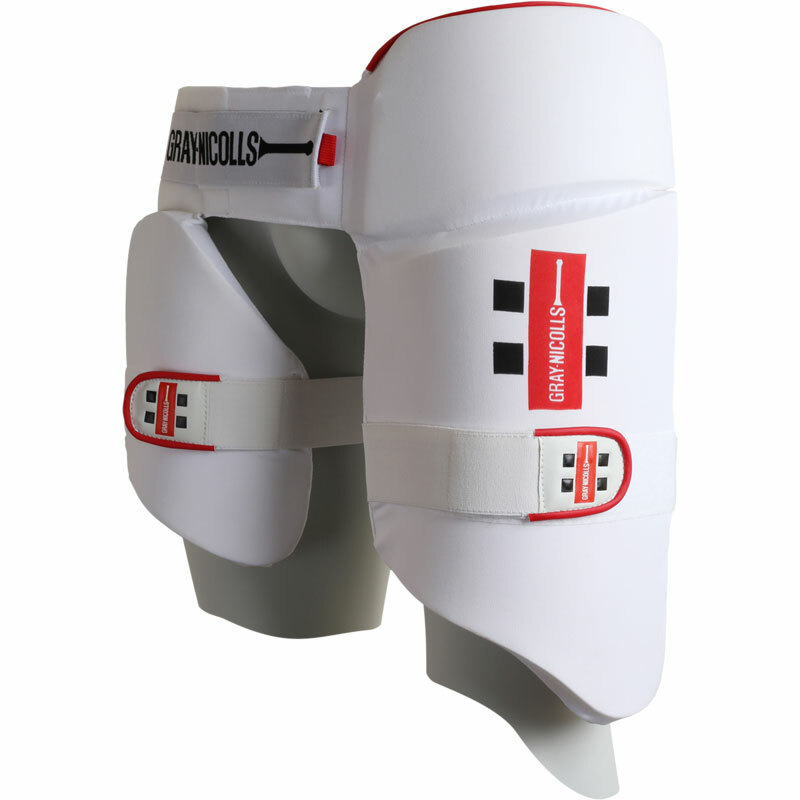 The Gray Nicolls All In One Thigh Pad is one such line. Club level armour incorporating thigh, and inner thigh padding. Designed to allow maximum range of movement throughout any shot. Lycra covering gives excellent stretch to fit a wide range of body shapes. RH player should purchase a RH pad and vice versa. Junior (9-10 years) - 25" waist. Youths (11-12 years) - 29" waist. Mens (13 upwards) - 34.5" waist. The thigh pad I bought was of premium quality and I am well pleased I bought this product. Brilliant thigh pad..fits proper and good quality. It as it gives him full protection.